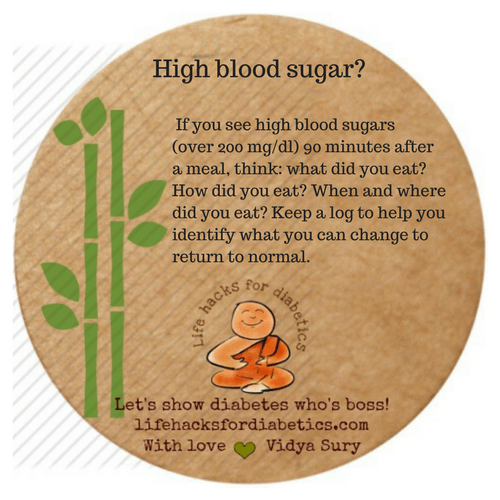 When you see higher blood sugars (over 200 mg/dl) 90 minutes after a meal, think: what did you eat? How did you eat? When and where did you eat? Keep a log to help you identify what you can change to return to normal and manage your diabetes around these times.